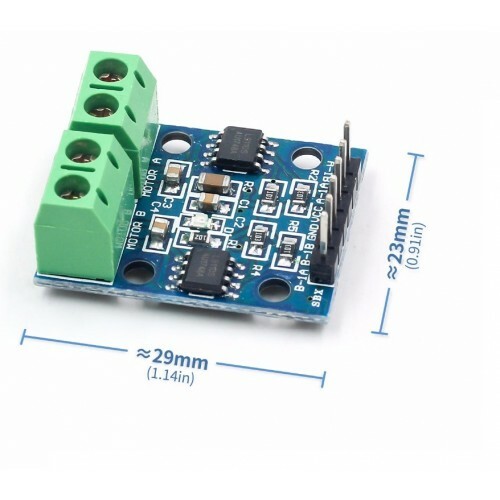 The L9110S 2-Channel motor driver module is a compact board that can be used to drive small robots. 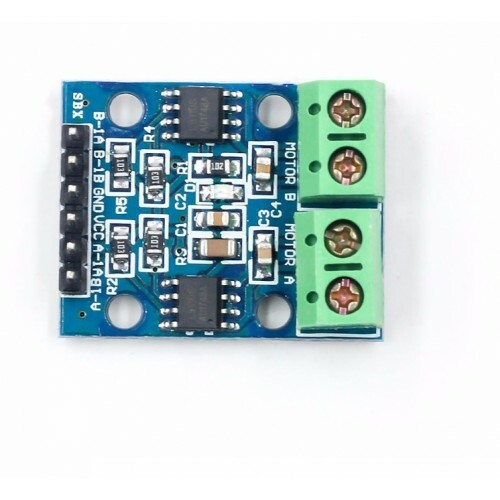 This module is based on L9110 Motor Driver IC. 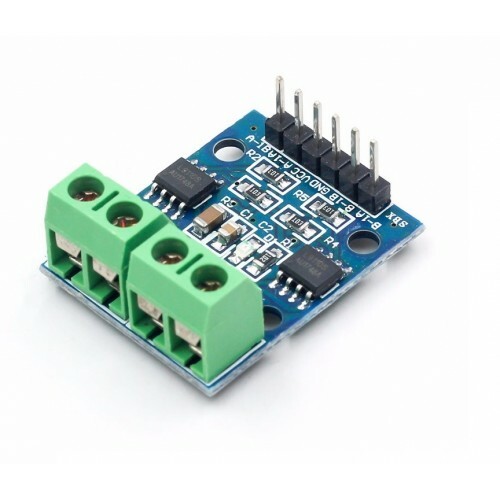 This module has two independent motor driver chips which can each drive up 800mA of continuous current. 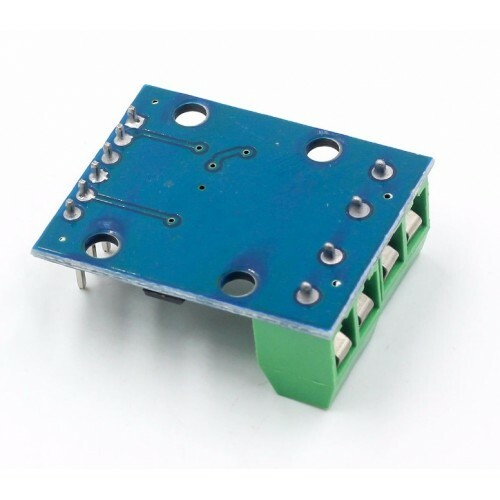 The boards can be operated from 2.5 volt to 12 Volt enabling this module to be used with both 3.3 Volts and 5 Volts microcontrollers. A set of female header pins is used to connect this module to a micro controller. The motors are attached via two sets of screw terminals.